Food, Fun, and Festivals! 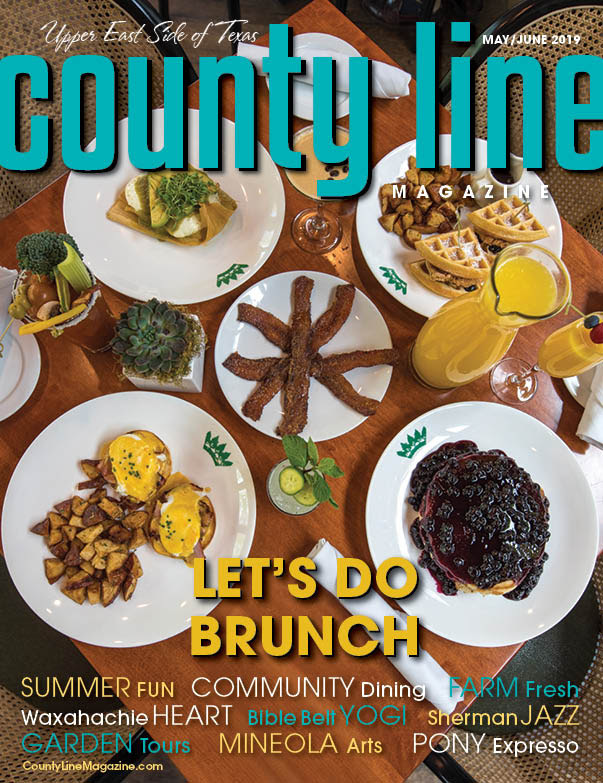 Grab a copy of the new May/June 2019 Issue! The new issue is out! Click on the articles below to start reading! In the middle of Proverbs chapter 17 there is an odd little question. Verse 16 asks, “Of what use is money in the hand of a fool, since he has no desire to get wisdom?” (NIV) The NASU asks it a different way, “Why is there a price in the hand of a fool to buy wisdom, when he has no sense?” I look around and I see vast amounts of resources being wasted. I see genuine fools with so little money that they stand in line at food pantries, and yet they smoke and drink up what little money they have. I see other real-life fools who have been blessed and/or worked hard to get ahead in life, and even though they have the resources to do much good in life, they waste it all on their own selfish pleasures. Those pleasures will indeed be fleeting. Rather than wasting their blessings, they could have converted them into eternal rewards stored up for themselves. I am tempted to cry out, “Why?” Certainly, I have no right to question God. My thoughts are much lower than His. My wisdom is less than foolishness compared to His wisdom. The resources in question do not belong to me. Those same resources don’t belong to the lazy fool or to the hard-working fool. Those resources belong to Almighty God. He alone has the right to distribute them as He sees fit. There is another truth to consider. Really and truly, it’s not a settled fact that I am wise enough to even discern a fool from a wise man. That presents a dilemma for me and other believers in Christ. We are called to be wise stewards of the resources God has entrusted to us. We are commanded to aid the needy. We are commanded to spread the good news about Christ around the world. God has given us limited, not unlimited resources. Thus, we are forced to make decisions about how to use these limited resources for taking care of ourselves, aiding others, and furthering God’s kingdom. Sometimes we directly give resources to the needy because we know them personally. Sometimes we give to benevolent organizations because we know the organization, trusting them to use the resources wisely. Sometimes we directly use our resources to share Christ personally. Sometimes we give to evangelistic organizations because we know the organization and trust them to use those resources wisely. We are acting wisely when we get to know the organizations we give to. Making sure that our number one goal is to bring glory to God, is a great safeguard in this area. We can never be sure what the results will be, but we can do our best to distribute wisely. As a believer in Christ, you are commanded to share the blessing with which you have been blessed. Take that responsibility seriously. Share. Do your best to become personally familiar with those whom you share. Money is not the only resource you have been blessed with. Share some of your time and talents as well. A person with sense, a wise person, would not waste time and money on fleeting pleasures when he or she could be storing up rewards in heaven that could be enjoyed eternally. A person with sense, a wise person, would not hoard unnecessary resources that will ultimately pass away, when they could instead use them for the glory of God. The money you have is a gift from God. Of what use is the money in your hand? Love Devotion Hell - a book in review | 11 days ago by RON IRWIN The Gilmer Mirror Copyright 2019 The Gilmer Mirror. All rights reserved. Texas charter schools are facing more backlash this year, but could also receive more cash | 10 days ago by ALIYYA SWABY, The Texas Tribune The Gilmer Mirror Copyright 2019 The Gilmer Mirror. All rights reserved. Health Plans For State Employees Use Medicare’s Hammer On Hospital Bills | 29 days ago by JULIE APPLEBY, Kaiser Health News The Gilmer Mirror Copyright 2019 The Gilmer Mirror. All rights reserved. Elite Hospitals Plunge Into Unproven Stem Cell Treatments | 11 days ago by LIZ SZABO, Kaiser Health News The Gilmer Mirror Copyright 2019 The Gilmer Mirror. All rights reserved. WASHINGTON, DC – The U.S. Department of Labor has approved additional funding for the Disaster Recovery National Dislocated Worker Grant (DWG) awarded to the Texas Workforce Commission in response to Hurricane Harvey. On August 25, 2017, Hurricane Harvey made landfall along the eastern coast of Texas. The Category 4 hurricane brought high winds, heavy rainfall, and historic flooding to 19 counties. Following a major disaster declaration from the Federal Emergency Management Agency, the Department awarded $10,000,000 to assist with cleanup efforts, even as rainfall and flooding continued. As the catastrophic impact of the storm became apparent, the Department awarded an additional $20,000,000 in September 2017. This latest funding brings the total awards to $35,000,000. Supported by the Workforce Innovation and Opportunity Act of 2014, Dislocated Worker Grants temporarily expand the service capacity of dislocated worker training and employment programs at the state and local levels by providing funding assistance in response to large, unexpected economic events that cause significant job losses.